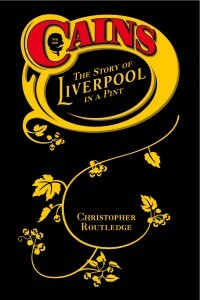 On his Beer-Pages blog Roger Protz is complaining that in a recent installment of Oz and James Drink to Britain, a television show in which Oz Clark and James May meander round Britain celebrating British drinks, the name CAMRA (Campaign for Real Ale) had been removed from the camera’s line of sight. Even at a CAMRA-organised beer festival, CAMRA logos had been removed, apparently on the insistence of the production company. I’ve seen part of one episode of this show and there was quite a lot of standing around going on. It was the kind of standing around you do when you are with people you don’t know very well and maybe don’t like very much. The kind of standing around that happens in car parks outside office buildings that are unexpectedly locked. Great television I’m sure you’ll agree. Today’s silly question: have you heard of Camra, the Campaign for Real Ale? Of course you have. An opinion poll some years ago showed that even the most casual pubgoer, with little interest in cask beer, had heard of the organisation. It’s probably the most famous single-issue consumer movement in the world. Sometime this year it’s likely to hit the magic milestone of 100,000 members, proof that a growing number of beer drinkers want to belong to an organisation that champions Britain’s unique beer style. All that is a given. So why do I need to raise the issue? The answer is that the BBC, our revered public service broadcaster, thinks you cannot mention the existence of Camra. I do occasionally come across people that have never heard of CAMRA. Strange but true. I’m a member but I do find the organisations stance and that of some prominent members a little arrogant at times. I also think they have lost the plot a bit of late with regards to the state of the industry.